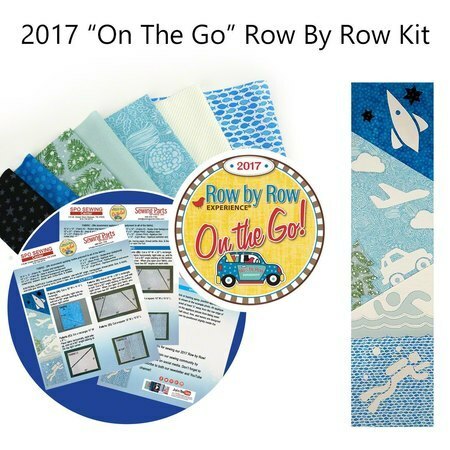 Our 2017 "On The Go" with Row by Row Kits are available online for a limited time only! Get your kit today before this pattern is permanently retired! Go on an adventure with us as we travel the seas, explore the rough terrain, and navigate the skies - applique style. Our exclusive Row by Row pattern and the fabric we used is available in a pre-cut quilt kit while supplies last. We used a combination of fabric from Moda, Tula Pink, Bonnie & Camille, Free Spirit, and Timeless Treasures. In addition, our custom designed Row by Row Quilt Kit includes a full-color instruction manual and all the applique patterns you need to complete your quilt row. 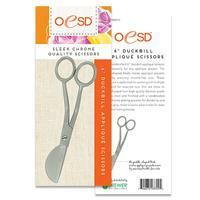 We highly recommend using a quilting needle and extra-long staple cotton thread to sew and quilt your kit. Note* Limited quantities available. 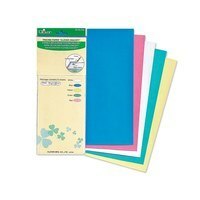 In the event that a fabric is unavailable, you will receive comparable fabric (similar color and print).